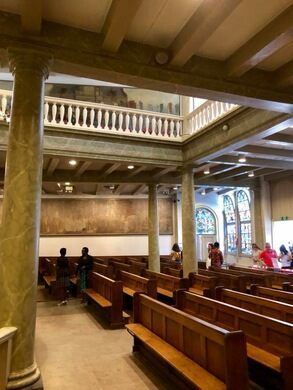 A hidden church in a hidden courtyard tells the story of the Miracle of Amsterdam—a miracle that began with a vomiting man. 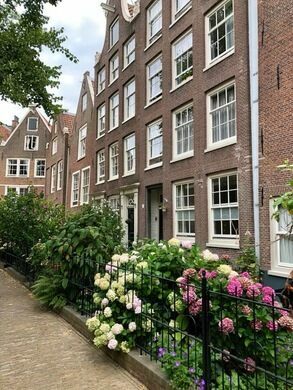 One of Amsterdam’s oldest inner courtyards, the Begijnhof, is just off the Spui Book Square with its many cafes and bookshops. The Beguines were a lay female Catholic order that sought to imitate Christ: living in poverty and devotion, and for the care of others. And hidden in their hidden courtyard where they lived was a hidden church, the Begijn Chapel. 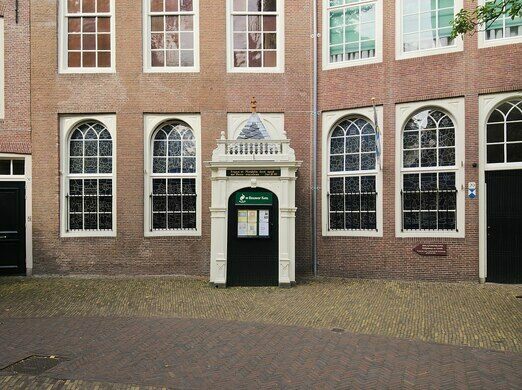 This church once contained the holy relic of the Miracle of Amsterdam: namely a puked up host. As the story goes, in 1345, a dying man took his last communion but then vomited up the body of Christ, which the maid then disposed of in the fireplace. The next morning, the cracker was allegedly found in pristine condition in the ashes. Word spread and pilgrims started to come from afar, jumpstarting the local economy. 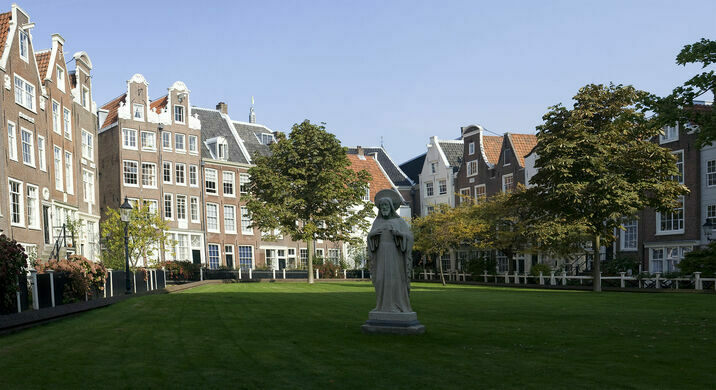 This marked the first step towards Amsterdam actually becoming a global city. 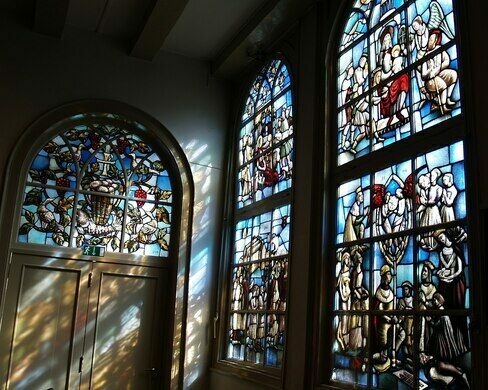 The full story is told in a series of oil paintings in the chapel. To this day, the miracle is commemorated each year with a “Silent Procession” through the city. It gets particularly surreal when the silent mass of people clutching their candles passes through the Red Light District. Today, the courtyard’s residents are no longer nuns but do remain strictly female. 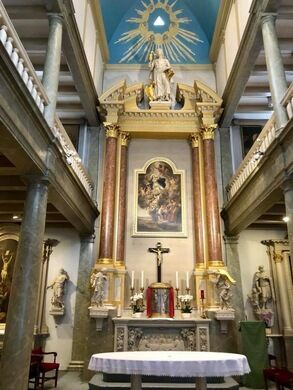 Upon exiting the chapel, don’t trip over the grave of a former resident nun hidden under a slab of red granite in the gutter. Clue: it’s often adorned with flowers. Barça football fans might see the insignia hidden in a church window as a divine sign. At the foot of an active volcano sits a church miraculously spared by its lava.